Moving to a new home or changing offices can be a hassle. There is always so much to deal with from packing to finding the right professional movers and making sure that everything gets to its new place in perfect condition. While a majority of movers are professionals, a few scammers may woo you into hiring them only to disappoint you. A good and professional mover should have all the right state regulations and be of sound character. They should have the best equipment to make sure all your items are well protected. With further detail, below we present you with some basic features that should be rendered in a professional moving service. 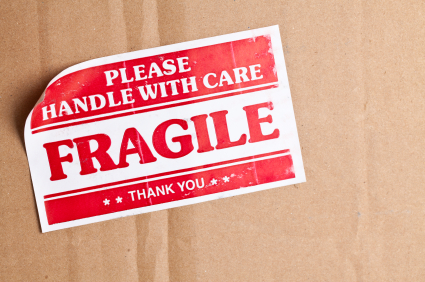 Packing for both fragile and non fragile items is important, and requires skill and expertise. Professional movers use the most optimal packing materials and methods to make sure that every item gets the right protection. They will ask you to identify delicate and fragile items so they can give them extra care and attention. Before loading anything, a professional mover should list an inventory of all the items and furniture that will be moved. They should pack and label items and boxes. To guard against any damages, a professional mover will use plastic stretch wraps for furniture and other safety materials. Loading should be systematic, and not rushed. If the movers are using trucks, their vehicles should have a solid suspension systems, ideally fitted with air ride protection. All truck drivers should have a certified license and ample experience. At arrival, professional movers will unload boxes and furniture and place every item in its respective room. Professional movers will also offer re-assembly services on request and other specialty services. Once all is unloaded, a quick run through of inventory must be made and approved by you. Whatever kind of items you want to move, any professional mover should have the ability to move them with utmost care, and they should be able to answer every question you may have. Remember, hiring the right moving company can make the transition to your new home a simple, stress free experience, so be sure to take the time to do your research and choose a professional mover that you can count on.